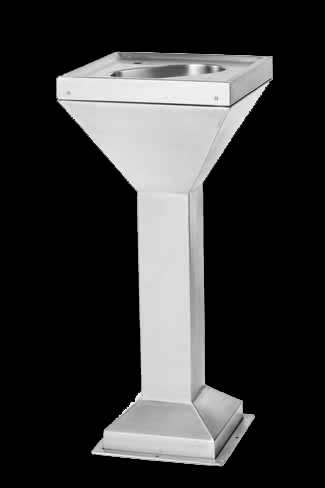 The DF Pedestal Type Drinking Fountain with dimensions 400 x 400 x 920 mm high is manufactured from Grade 304 (18/10) Stainless. The unit is highly durable with stainless steel gauge of 1.2 mm (thickness of stainless steel plates). It includes a one piece pressed bowl with a 40 mm waste outlet and removable top section. It is supplied with a Bubbler OR Carafe Spout. In most cases only the bubbler is used especially in locations where vandalism is a problem. 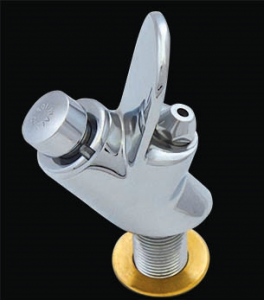 Unit to be supplied complete with a reinforced fixing flange at the bottom with a hole to fasten the fountain to a concrete base with 10 mm masonry bolts (see image). The bolts are not supplied. NOTE: Excludes Fittings and Plumbing connections. Note: Custom wall mounted drinking fountains can be manufactured on request.